Canvas is an ever-evolving platform that continues to churn out great features. Below is a brief summary of features that have added or changed over the summer. It’s been a long time coming, but it is now possible to sync grades from Canvas to Infinite Campus. 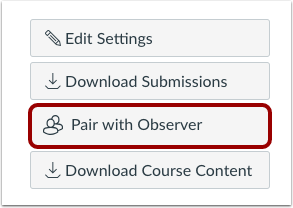 There’s a few things to know so if you don’t feel confident in diving in headfirst with this, it is recommended that you don’t check the box to sync grades between Canvas and IC. The key thing to know is that if you do sync scores to IC, you will need to go into IC and move those synced assignments from “Uncategorized” to the appropriate grading category. There is now a “New Gradebook” in Canvas to start the school year. Some of the key features that are nice about the new gradebook include being able to color-code scores in the gradebook to indicate missing, late, etc. Another useful feature is the filters, which allows you to view specific chunks of your assignments such as from one module. Quizzes.Next is a major update to the quizzing engine that is built into Canvas. It is still considered a beta feature because it doesn’t include all the functionality of the original quizzes, but there are some really useful question types in Quizzes.Next that are worth a look. The highlights of those are categorization, ordering, and hotspot questions. Check out the blog post above to learn more about the new question types and how to get started. Canvas has changed the process for parents to create parent accounts. Students or the tech department can create a pairing code, which allows parents to become an Observer for their student. Directions will be updated on our websites soon.